(Nanowerk News) Making a computer that learns and remembers like a human brain is a daunting challenge. The complex organ has 86 billion neurons and trillions of connections — or synapses — that can grow stronger or weaker over time. 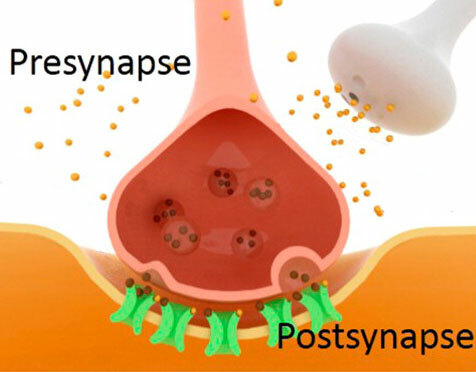 But now scientists report in ACS’ journal Nano Letters ("Graphene Dynamic Synapse with Modulatable Plasticity") the development of a first-of-its-kind synthetic synapse that mimics the plasticity of the real thing, bringing us one step closer to human-like artificial intelligence. In recent years, researchers have been building artificial neurons and synapses with some success but without the flexibility needed for learning. Tian-Ling Ren and colleagues set out to address that challenge. The researchers created an artificial synapse out of aluminum oxide and twisted bilayer graphene. By applying different electric voltages to the system, they found they could control the reaction intensity of the receiving “neuron.” The team says their novel dynamic system could aid in the development of biology-inspired electronics capable of learning and self-healing.